The ability to think outside the box is a valuable skill and is requisite for improvements. However, that doesn’t mean that thinking inside the box is useless or even undesireable. The framework of the existing boxes have their own values. Previous established frameworks are often in place for good reason: they work. The human mind is very good at finding structure in things and working from within developed structures. Even without a previous framework in place, we will try to establish an underlying structure to achieve understanding. Currently existing boxes can provide a prebuilt framework to serve as a launching point to facilitate the process of understanding. Using pre-existing boxes saves you the time and effort of building your own model of understanding, and possibly even saves you the unnecessary effort of duplicating existing frameworks. The conventional boxes can get you up to speed faster, particularly in pursuits that require being able to do things (for example, computer programming, painting, or even writing). Though the box is often depicted as a constraining structure, the box paradoxically often empowers creativity and the ability to change. With no reference framework, our perceptions of the task at hand consist mostly of unknowns. With so many things unknown, we become uncertain, tentative, and possibly frozen into inaction. It is here where working inside the framework of the box becomes most valuable. The box provides a model which either explains the unknowns or defines a course of action to break the cycle of uncertainty and inaction. The box framework provides the starting point for exploration, and it is from this process of exploration that creativity and change can arise. You can hand a child paints and brushes, but the child probably won’t become the next Picasso without some framework for learning how to use the paints. It is the exploration of the box that eventually leads to the recognition of the limits of the box. Being able to think outside of the box requires that we know what inside and outside the box actually mean. Thinking “outside” of the box is meaningless without the context of understanding what defines the box; understanding the box and being able to work from within the box gives us a starting point to learn to recognize and perceive the box. Recognition of the box is the first step needed to move beyond the box and push outside of it. While we may ultimately wish to break through the confines of the box and become one of the innovators thinking outside of the box, we cannot completely discount the value of thinking “inside” the box. 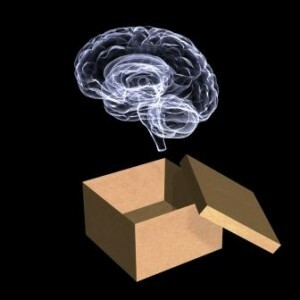 Thinking inside of the box complements the ability to move beyond the box. As long as we can learn not to be confined by the box, we can find value thinking both inside and outside the box.